Local weather plays an important part in the retreat of the ice shelves in West Antarctica, according to new research published in the journal Nature Communications today (Friday 17 February). The study, involving scientists at British Antarctic Survey (BAS), of the Pine Island Glacier used a unique five-year record to study how the interactions between the ocean and the atmosphere, as well as changing currents, control how heat is transported to, and beneath, the Pine Island Glacier. Pine Island Glacier is one of the fastest melting glaciers in Antarctica with some studies suggesting that its eventual collapse is almost inevitable. Previous research suggested more warm water was circulating under the ice shelf and melting it more rapidly, leading to an increasing contribution to sea level rise. 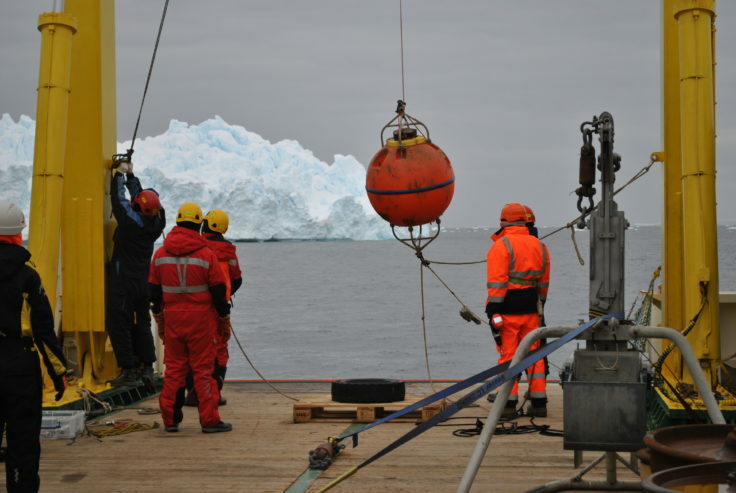 However, relatively little was known about what drives changes in ocean conditions in this remote part of Antarctica due to its inaccessibility. Some studies suggested that the ocean conditions close to Pine Island Glacier are influenced most strongly by winds at the edge of the continental shelf, some 400 km to the north, which in turn respond to changes in tropical ocean temperatures. 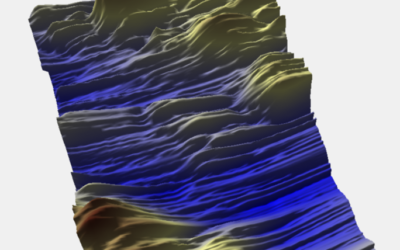 The study – an output of the NERC iSTAR Programme – looked at the impact of shelf-edge winds and found this to be less direct than previously thought, and that local atmospheric conditions and ocean circulation are the main drivers of ocean temperature changes in the critical 350-700m depth range, over the period of observation. “The ice shelves of the Amundsen Sea – an area of the Southern Ocean – protect much of the West Antarctic Ice Sheet from collapse. These ice shelves are rapidly losing mass and understanding the mechanisms which control ocean conditions and drive melting of these glaciers is hugely important. “We found a strong annual cycle in the exchange of heat between the ocean and the atmosphere, which drives changes in ocean temperature. While these changes are less evident in deeper waters, through convection and mixing the heat can penetrate deeply enough to have a major impact on melting and influence the temperature of the water entering the cavity under the glacier. Changes in the direction of the ocean currents also cause changes in temperature close to Pine Island Glacier. The colder period was associated with a reversal in the currents that transport heat into and around the bay. The research was carried as part of the Natural Environment Research Council (NERC)-funded iSTAR Programme and was in collaboration with US and Korean collaborators using data from ship-based and atmospheric observations including ship-deployed oceanographic moorings.